Hubby made mac and cheese, sweet potatoes and the cranberries , while I made the turkey, dressing and greens. Team effort! No matter what you're having or who you are with I hope there is love in your heart, food in your tummy and compassion in your soul. Because what we have this moment is fleeting, so be thankful , be joyous and know today I remember and am thankful for you. This is a pepper plant started from a seed that my neighbor threw into the garden tub. It has gone through frost, rains and unrelenting sun and refuses to die! I can't use this many hot peppers! My husband loves hot spicy foods and one of these in your food is enough. And I don't really like hot food( ok I'm a wuss). I should be as hardy as this plant! Thanks to Nancy of Dog Patch Critters who let me know that cats do not tolerate onion well and when feeding my cat baby food to make sure this is not one of the ingredients. I stick to the stage one chicken, or turkey and the pate chicken cat food. She seems to be tolerating it well. I also didn't get to wish our veteran's well yesterday and would like to do so now. Thank you to all who serve, have served and have given us our liberty, I salute you. Next year marks my25th year making bears, having started in 1985. So I am trying to decide what my Anniversary piece will be and how many pieces to make. How to celebrate? A give away maybe? I see planning and plotting in my future! So, it's back to the drawing board. Renninger's Extravaganza is next week in Mt. Dora, Fl., should be able to find some goodies to help create a nice character. Hmmm, see you later. The Sunshine Bear Den of Good Bears of the World had a collectibles show this weekend with artist bears, antique bears, toys and dolls. Now at a show like that you know I have to look for treasures! And I found four books, that's Cubby Gets Bath the lion is holding. The lion found a home this weekend. Then there is the cute little doll dress, the animal print fabric and the Kiddies Book of Birds. I met new people and saw old friends down in Lake Worth, Fl. and enjoyed doing the show. Attendance was a little low but people did buy, just like me. A good note for my last show for the year. And a special thanks to Jane Woodard of Heir Bears for helping my hubby and I celebrate his birthday while we were there. Back to creating next year's pieces. Ginger over at Bearbits is having a Christmas Tea Party for Toys on December 5, 2009. You may have noticed a logo for it on the side of my blog, just click on it to get all the details. 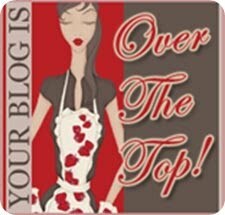 You can either participate or just show up for the party and go from blog to blog to enjoy all the fun(blog has to be on Ginger's list as participating). It's going to be a grand time. 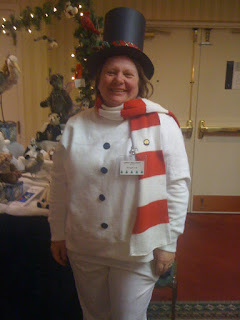 And Kelly over at Yesterday's Glitter will also be having a party on December 12th, A Hartfelt Christmas Blog Party, and you can click on her blog from the side of mine if you want to join. These ladies are great fun so you might want to mark your calendar now! 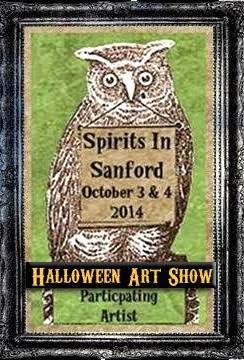 These events are not to be missed. Saturday night was the Golden Teddy Awards Dessert Reception. Donna Griffin won two awards one for Mimi, undressed, 5inches and under; and one for Maude /accessorized,5inches and under. We called and surprised her with the news. StephanieTiongo was there to accept her win for Mommy I'm Stuck Kitten. Kelly Dean won for tableaux for Polar Pals, Guenter Dufeu won for Rex, Karen De Lorenzo won forDaydreamer and Vicky Lougher won for Lil Pudge. 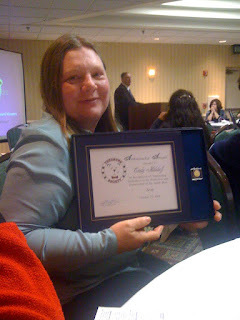 This years Teddy Society's Ambassador winner was Cindy Malchoff, rcognized for her work as an artist, promoter and the person who kept the continuity of the TBAI show, and promoter of the teddy bear industry as a whole. That's her in the top photo and as a snowgirl for the show! 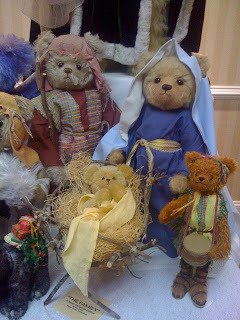 Above is Bev White's Nativity scene. There I am in costume. 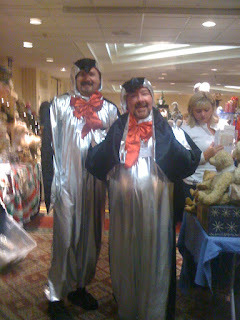 The bear Guys are in penguin form in last photo. The show was a lot of fun as you can see and we got new info. 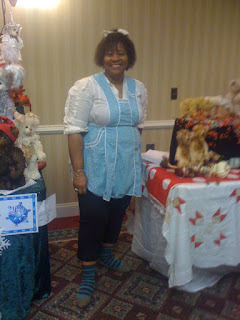 Joe Jones,Dolls and Teddy Review, announced the new Expo show will be held October 1,2,3 of 2010 in Winton Salem, NC. There is lots planned, check their website. added note: sorry for the late post, internet was down asgain. and on a good note my kitty is eating, thanks to a collector friend, Andrea, who is also a vet who told me to feed her baby food. It's working, she is eating after a week of not eating. My vet didn't tell me that, very disappointing. Off to another show tommorrow, so back to work.